We’re all heartbroken over the tragic loss of Hayden. He was loved by so many and will be missed dearly. His family needs us right now more than ever. 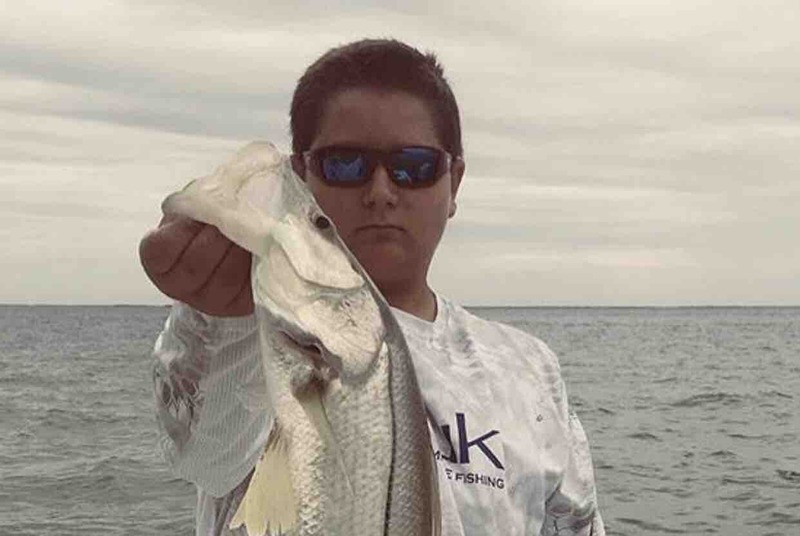 We’re asking family and friends to come together to support his family financially during this tragic time. Please keep the Schreyer family in your prayers and donate if you can. Thank you and God bless. We would like to thank ALL of you for your overwhelming love and support over the last several weeks after the tragic loss of Hayden Schreyer. The support by our family, dear friends and those of our community speaks loudly of just what a terrific group of people you genuinely are. It is very difficult to put into words the emotions we have all felt these past four weeks. Our hearts are broken and we miss Hayden so very badly. The out reach from all of you and the support you have shown us is truly amazing. This event has certainly touched hundreds of lives. From our closest friends to individuals we do not know or have never met, your true concern and compassion is extremely appreciated and will never be forgotten. As parents our hearts will ache everyday. Our tears and emotions will come and go. Our love for our beautiful son and brother will never fade. Hayden is a special part of all our lives and will always be remembered as a great young man. We can not say it enough how much we appreciate your support and we love you all. Thank you so much. 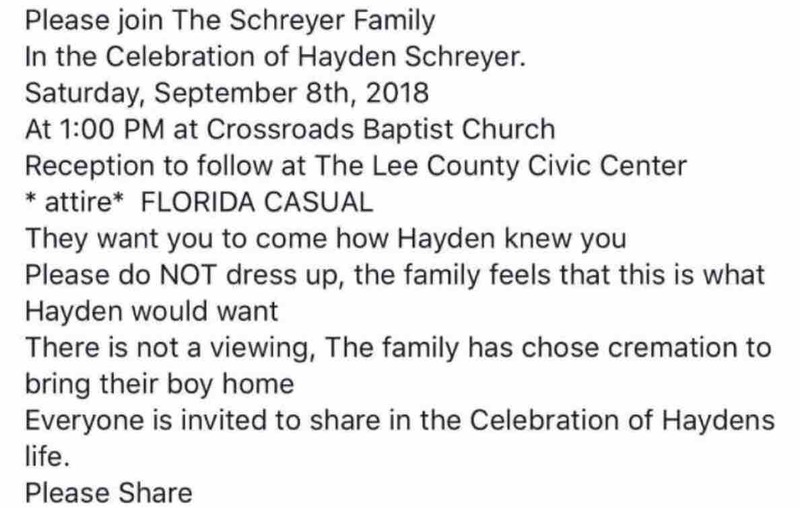 Here’s the information on Hayden’s Memorial.